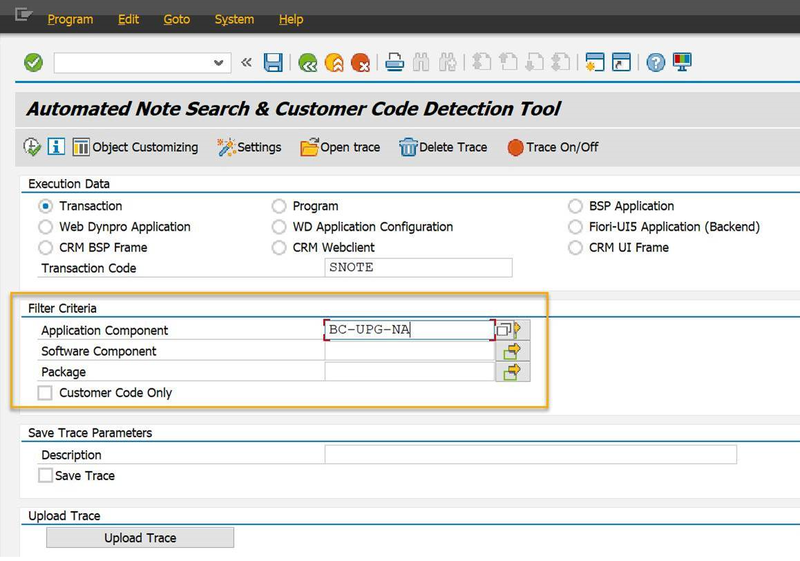 Automated Note Search Tool (ANST) provides efficient and convenient way to carry out a SAP Note search for a specific issue. ANST search works based on issue replication. ANST supports issue replication for Transactions, Programs, BSP Application, Web Dynpro Application, Web Application Configuration, CRM BSP Frame, CRM Web client, CRM UI Frame. With SAP delivering new UIs with UI5 technology, ANST now supports Fiori-UI5 Applications as shown below. Choose ‘Fiori-UI5 Application(Backend) option and provide the URL. Now click on ‘Execute’ to replicate the issue and click on back once the issue is replicated to generate the trace. If the Architecture consists of separated systems for the gateway and back end, then the trace you get from the gateway will only include the ABAP objects that are executed in the gateway. For complete trace including back end trace in this scenario, you have to log on to the back end system and do a trace of the process using “start-stop” trace feature. Then you can search separately for SAP Notes that are relevant from the gateway and from the back end to resolve the issue. If back end system and gateway are embedded, the above does not apply and just one trace will be enough. Filter the trace generated, based on application components, software components, packages and custom code only options. The trace can be filtered in the initial screen of ANST. This helps customers as well as SAP support consultant to drill down to the specific area causing the issue. Filtering of the trace also be done once the trace is generated using Filter option in ALV toolbar as below. Reset Filter option is also provided to view the complete trace. 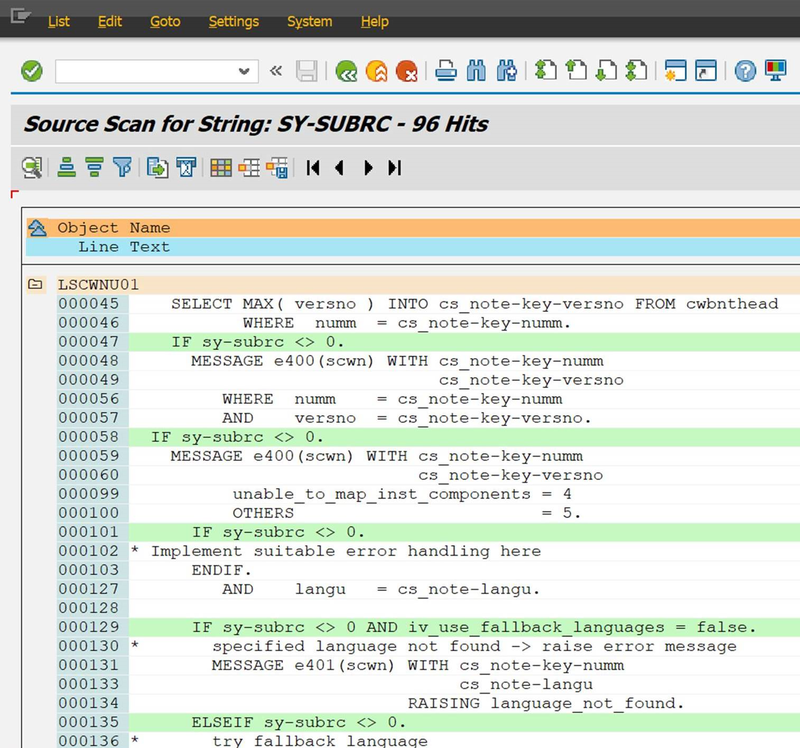 Scan the source code of all the objects in trace. 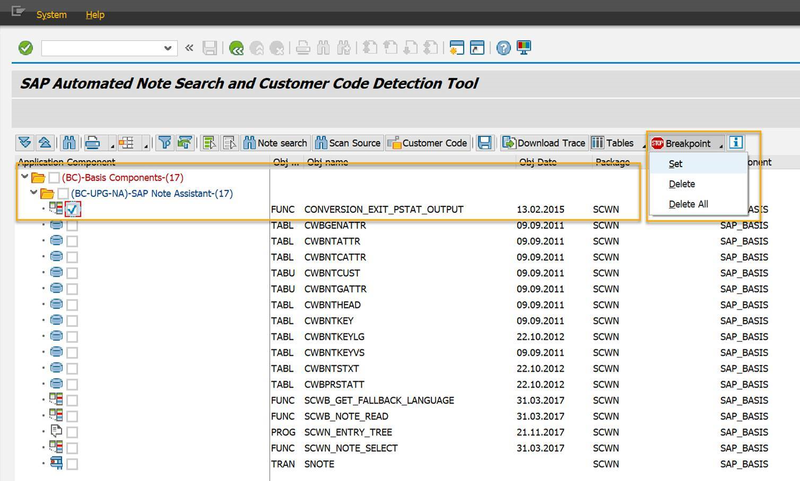 It is now possible with ANST to search of source code in all the objects collected in the trace during issue replication with ‘Scan Source’ toolbar option. Click ‘Scan Source’ option and provide the search term. Click on continue to get the results of source scan as shown below. Save or Download the trace based on call stack. The trace generated using ANST can be saved or downloaded based on the order in which the objects are touched during issue replication. Also it is now possible to save or download filtered trace. Identify all tables involved during issue replication. ANST provides an additional option to view all the tables involved in the process of issue replication in addition to displaying customizing tables. Click on ‘Tables’ toolbar option and choose ‘All tables’ as below. 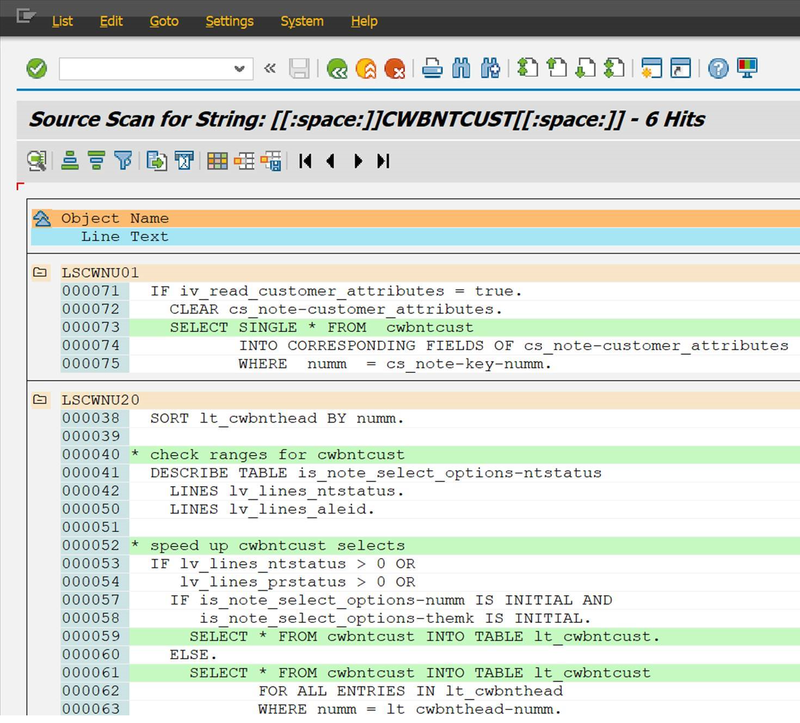 Double click on table name to display the where used list of table in the objects collected in trace. Place breakpoints, delete breakpoints in ABAP objects to help with effective debugging of the issue. To ease the job of debugging the issue by setting breakpoints, ANST allows selection of objects from ALV tree and choose ‘Set’ or ‘Delete’. To delete all breakpoints you can choose ‘Delete All’ option. Users can use the breakpoint feature from ANST rather than navigating to the object and then set/delete the breakpoints. All above features are available with SAP Note 2605555. Let us know your experience with ANST new features in comments section below! This is excellent!, i’ve already grown fond of ANST to search notes on the ERP, now with fiori apps it will be awesome. Thank you for this excellent improvement to ANST! 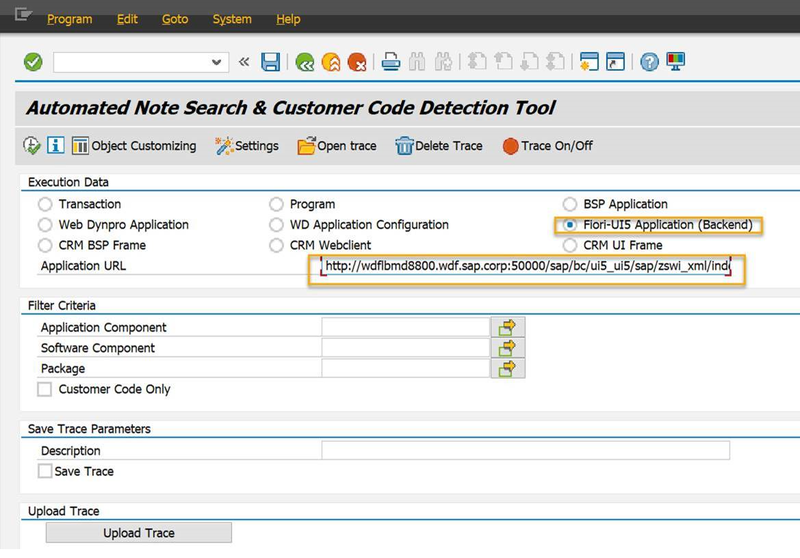 •2469123 – ANST: Remove identification of irrelevant SAP Notes >>>>>>> This one is very important!!! ANST User Guide attached to SAP Note 2605555 has the mentioned SAP Notes in ‘Points to Remember’ section.